Sometimes Samsung users accidentally get their text messages lost on Samsung Galaxy S7/S6/S6 Edge/S5/S4, which has been rooted before. Those messages could be from a business partner or a beloved one. Any way, getting these lost text messages back means a lot. But few people know how to achieve that. Don't worry! This guide is going to show you how to recover lost text messages on a rooted Samsung mobile phone, no matter how you get them lost. 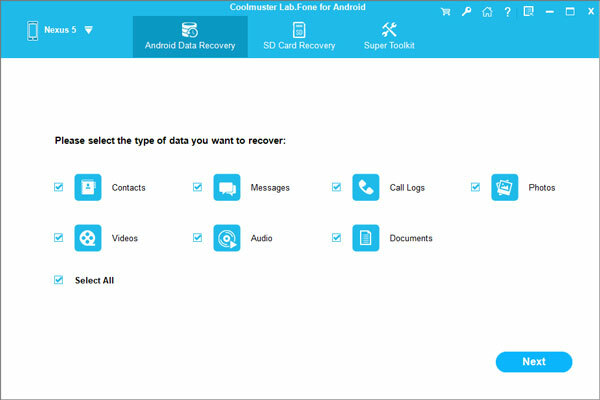 All what you need is a rooted Samsung SMS recovery tool - Coolmuster Android Data Recovery, which is specialized in recovering deleted text messages, as well as contacts, photos, videos, call logs and music from your Samsung Galaxy S7/S6/S6 Edge/S5/S4/Note 7/6/5 and Galaxy A9/A7/A5. 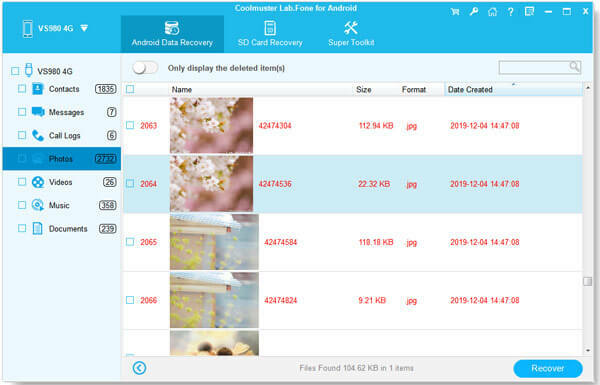 Both internal memory and external memory card in your Samsung phone can be detected and scanned by the Android Data Recovery without any hassle. Tips: It is a great idea to perform a SMS backup of your Samsung phone regularly to prepare for any data loss emergency. How to Recover Deleted Text Messages on Rooted Samsung? In the program interface, you can see there are different data types listed on the left panel. Just highlight the "Message" and the program starts to scan your Samsung phone for all the deleted and lost text messages. In this step, all the lost text messages will be displayed in red, just tick the ones you want and click "Recover" button . Then, please wait with patient. The time that the recovery process takes depends on the size of your messages.